The Merlin Annual Pass sale has started to become as much of a festive tradition as the high street boxing day sales. The Merlin Annual Pass sale starts today with the lowest prices you will see all year. 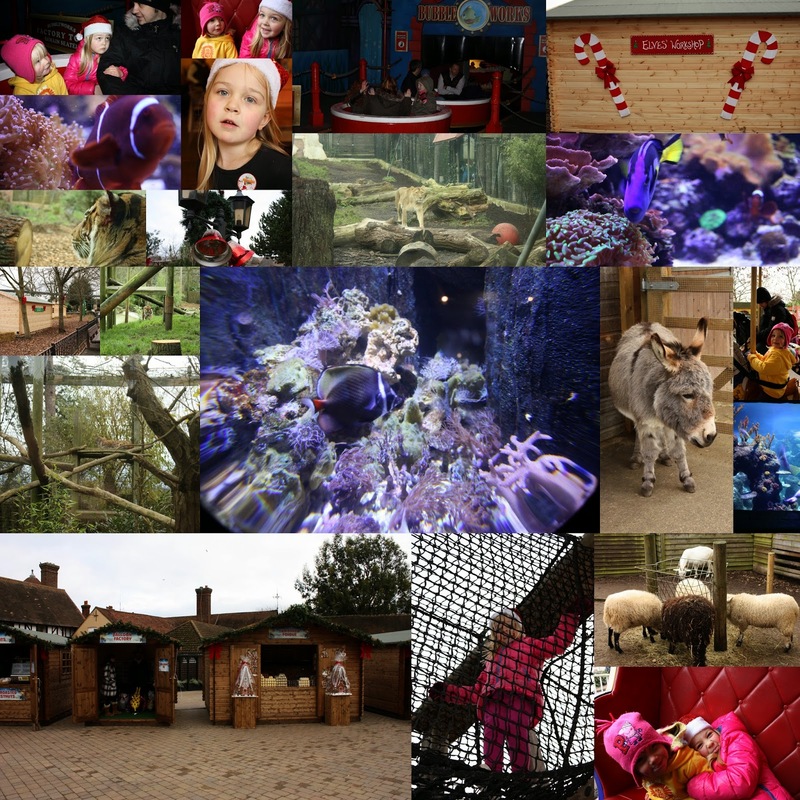 Our year of magical Merlin adventures started with a Christmassy festive day out at Chessington World of Adventures in Surrey at their Winters Tail zoo day. Over the winter months, Chessington runs Zoo Days where you can visit the animals and explore the Sea-Life centre but where the theme park rides are out of action for the winter. Until the 4th January the Winters Tail event is on where a few select rides are open and the theme park is decorated with beautiful festive touches - there was even a chance to visit Father Christmas in his Grotto. We surprised Lara and Holly by taking them for a day at Chessington. The loved the Christmas decorations and the occasional reindeer or little donkey pottering around! Both girls very much love zoos so we had great fun exploring the big cats, watching the sealions, lurking in among the creepy caves and of course, exploring the Sea-Life centre. A select few rides were open - The Bubbleworks and Hocus Pocus hall as well as the traditional carousel. We took some time to watch the live stage show - a Christmassy story starring the one and only Gruffalo. It was an excellent day out and I really enjoyed visiting at this quieter time of year because it was a little bit more peaceful than during the peak season and we didn't feel so rushed to fit everything in. I'd definitely go back for another zoo day in the future. Our Merlin pass will gain us entry into attractions up and down the country for a whole year including Seal-Life centres, Madame Tussards, Warwick Castle, Alton Towers, Thorpe Park, Legoland, The Blackpool Tower and The London Eye. Disclosure: We were offered a Merlin Annual Pass in return for our involvement in this promotional campaign. We will be sharing out family adventures and Merlin days out in 2015.